The third book in The Rosie Black Chronicles is OUT NOW! 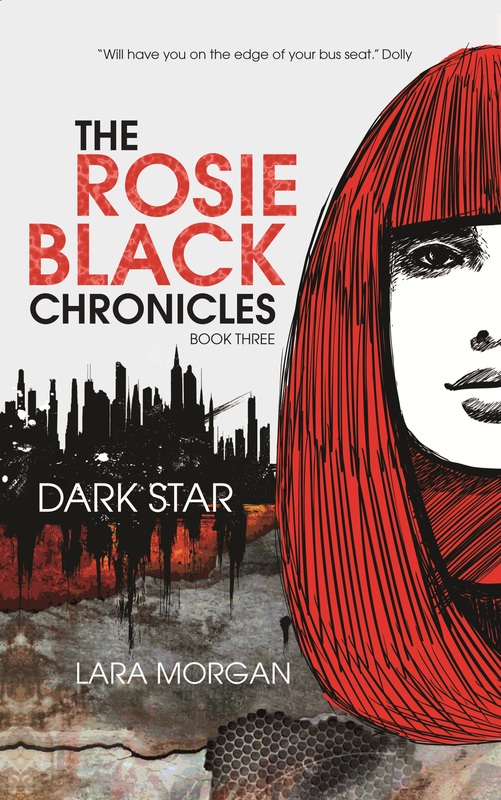 Dark Star will be the final chapter in Rosie’s battle with Helios. Not everyone is going to get out of this one alive. Available from all good bookstores and online. Yay! I’ve been looking forward to this moment all year. I’m just wondering, if this is the end of Rosie Black’s battle with Helios, will there be more books after Helios’ defeat? I’m happy you’re so excited about the book, I hope it lives up to your expectations! And to answer your question, for the moment Dark Star is the last book about Rosie….but I’m not saying I’m going to close the door on her universe for good. I may write more about Rosie in the future. And, are you sure Helios will be defeated????? Hmmm, you may have to read the book and see. No spoilers! I absolutely love the new cover (that might have something to do with the fact that I have red hair and, although she doesn’t, Rosie looks like she’s a red head!). OMG! I its amazing! i love the colour choice, definitely suits it. So excited for the upcoming book! I really can not wait for Dark Stars to come out! And a question, is this the conclusion of the trilogy or is there more to come in the series? I really don’t want it to end! Haha. OMG my friend and i have been waiting for this book for over a year…….. and now it is FINALLY out. we are so excited!!!!!!!! i have ordered it online and now waiting for it to arrive. I CAN’T WAIT!!!!!!!!!!!!!!!!!!!!!!!!!!!!!!!!!!!!!!!!!!!!!!!!!! Just bought my copy of Rosie Black’s third installment!! Do you think there will be more??? I most certainly hope so!! I love all your books. are you thinking of making them into a mivie because I would so watch it. im so excited for book 3. If there ever is a movie and there are audition opportunities here, please let us all know. I, for one would LOVE to get involved!! I have recently bought my copy of Dark Star and I absolutely LOVE it. Congratulations! hi my name is Harmoni. Johnston and i read your first book ‘genesis’ a week ago and when i read the first page i had to know about the author and when i found out that you were from Perth WA i was so happy!!!! 😀 when i got to the last page i almost started crying because i wanted to see if pip would come back! so i returned the book last thursday at my school library and got the second book before anyone dared to look at it. i finished the rest of the book today and i was so sad but so speechless! the best series ever!!! now i can’t wait to buy the next book! i want the books to keep coming! i live in Busselton WA… do you know the place? I’m 14 years old. and in love with the Rosie Black Chronicle Series! my favourite character has to be Pip. Ngaru. now i want a boyfriend who is very similar to Pip!!! (or Dalton). can’t wait till i read Dark Star!! hello and wow, I am bowled over by how many comments and questions you have left on my site. Lovely of you to be so enthusiastic about the books I am so glad you love them, as an author it is always so nice to hear from people who have enjoyed the stories I write. And yes I am from Perth, though I live in Geraldton now, which is a few hours north, just like Busselton is a few hours south. I do know Busselton and have been there several times. I spent a holiday there as a very young child which I still remember, mostly because I was so scared by that huge jetty! I was convinced I was going to fall through the cracks into the sea and it seemed to go on forever – but things always seem so much bigger when you’re a child. I hope you enjoy Dark Star and can handle the ending – no spoilers! – and I’m sorry to say Dark Star is the last book in Rosie’s story. I haven’t planned any more books about her, but that doesn’t mean you can’t day dream about what her life might be like. Or Pip or Dalton’s, they are such special boys aren’t they? the busselton jetty is huge and they said they plan to build onto it. when i was younger, the first time i went on the jetty it was windy and i was scared i would be blown off. i think you should write a book in pips view, his life? when i read the first page of the dark star i cried because i thought pip had actually died, so i sat there crying while reading and then it said “rosie woke up breathless”… something like that, and i was so relived he hadn’t died. I’m really wondering, but does pip find out rosie’s gone and goes after her or does dalton tell him? thats the one question in my mined. are you planning to come back to busselton for a visit any time soon? if so, when? i find it really awesome that your from western australia. as you can imagine theres not many authors from australia. SO EXITING to read all the rest of the Dark Star!!! 😀 😀 :D!!! i love the thing at the end “YOU DONT KNOW ME” so awesome!!!! oh and i love the soundtrack! I am no unfortunately planning on visiting Busselton at the moment, or anywhere really, as I recently had a baby and it’s very hard to travel with a newborn 🙂 , but someday I’d love to visit the south on official author business. Perhaps I will be lucky enough to be invited to one of the writers festivals down there. If I do I will post about it here on my blog. i finished the book and I’m really happy but sad too that i finished it, i wanted it to go on forever! now the question still in my mind is what is Pip? A good question Harmoni, but if I answer it here it might give it away for those who haven’t read the book – and the answer is in there. Read it again and you’ll be able to figure it out. going to have to hold my breath then. oh and i talked to my friends and my family and they have heard all my ideas and i said i want to write my own book series. but before i do i was going to ask you for advice. only if you want to? yes please don’t hold your breath – it will only result in a very unflattering shade of purple! And lovely to hear you want to write. I am always happy to give what advice I can to young writers, but please don’t ask me to read you work I can’t do that. Any questions you have about the art of writing itself though feel free to fire away and I will answer as best I can. Some of the best advice I can give is to read a lot – which you probably already do – but as you’re reading notice how the author structures the story, pay attention to the way dialogue is written, the way things are described, how the plot progresses from one scene to the next and try to figure out why you like the book so much. Read how to write books. Two of my favourite are: Bird by Bird by Anne Lamott and Stephen King’s On Writing, but there are many out there to choose from. Remember writing takes time to get right and you should consider your first book as an apprenticeship in the art. That doesn’t mean it will be bad, but it does mean you will probably make lots of mistakes along to the way. And you MUST finish the story. Don’t get side tracked writing something else when it gets hard, just keep going, even if its rubbish. A first draft is only the beginning as all writing is re-writing. I write three or four drafts of a book before an editor sees it. what does pip look like, i know he is attractive and he has really really blue eyes and blck dreadlocks but i can’t imagine what he looks like. i finished the book. i was so excited to get to the end but i was really upset because i wanted it to go on forever and ever. i really want to know about Pip’s and Rosies life when there older. is there any more adventure, action or romance? I’m scared to read any other book series because i want the Rosie Black Chronicles to stay my favourite. but one of the questions still in my mind, What does Pip fit into?